This February is competition time and we have a great prize bundle up for grabs. 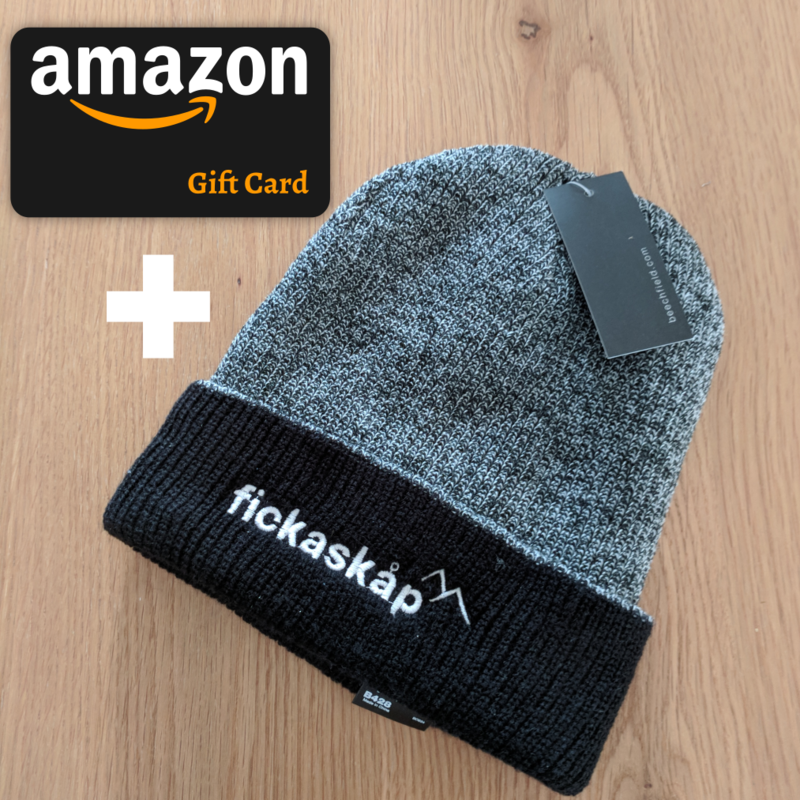 One lucky winner will get one of our cosy limited edition beanies and a £20 Amazon voucher. So what do you have to do to win this bundle? Well we’re having a little photo competition! There are quite a few of our waterproof wallets out there in the wild now. We would love to see a photo of you on your adventures with your wallet. Post photos of your wallet on Facebook, Twitter or Instagram making sure you tag @fickaskap in the photo and use #FebPhotoComp. At the end of February, we will pick our favourite and notify the winner. So get snapping on your adventures. We’re looking forward to seeing all your great pics and the places that you’ve been taking your wallets. If you haven’t already got one of our wallets, now’s the perfect opportunity to buy one (click here). Any photos depicting unreasonable risk will not be accepted (i.e. no selfies with sharks).